Happy Sunday night to you all from hot and dry Tucson! I hope are are doing fine and enjoying your weekend. I had a busy week working and writing at night. If I haven't mentioned it yet, this is the hottest part of the year here in Arizona, and the only thing we're grateful for here in the 'Old Pueblo' a.k.a.Tucson, is that we don't live in some insanely hot place like Phoenix or Yuma! Still it reached 107 on Wednesday and it just happened to be the day I agreed to do a major clean up in mid-town. My cousin Mike and I worked all day trimming shrubs and mowing down grass and weeds at a duplex. We drank water like we had holes in our feet, along with frozen Eegee's drinks ( a local favorite) and any kind of liquids we could swallow. We could work in extreem temps and have for years, but 107 is pretty hot, even for a couple of 50 some yearold lizards like us! The thing with heat exposure or heat stroke, is that it hits you the hardest when you get home. I was so exposed and dehydrated the rest of the day I couldn't stop consuming liquids all night long. My head pounded and I woke up at night with legs cramps. Needless to say I didn't get any writing in that evevning and still felt like crap the next day. It is part of the world of working outside in the desert states, and I deal with it every year. Outside of that, I continue to pound the keys on my laptop and have been in a writing zone with my book. I did take a break today for a while and headed my with my son Jonathan, to the newest movie theater in town and enjoy the big hit of the year; Wonder Woman! It was an amazing flick and even though I'm not a big fan of the super hero genre, I am a big fan of the leading lady, Gal Gadot, from the Fast and Furiuos movies. As far as I was concerned she was made for the part and played it to a tee. I'll probably see it another ten or eleven more times in the next few years. 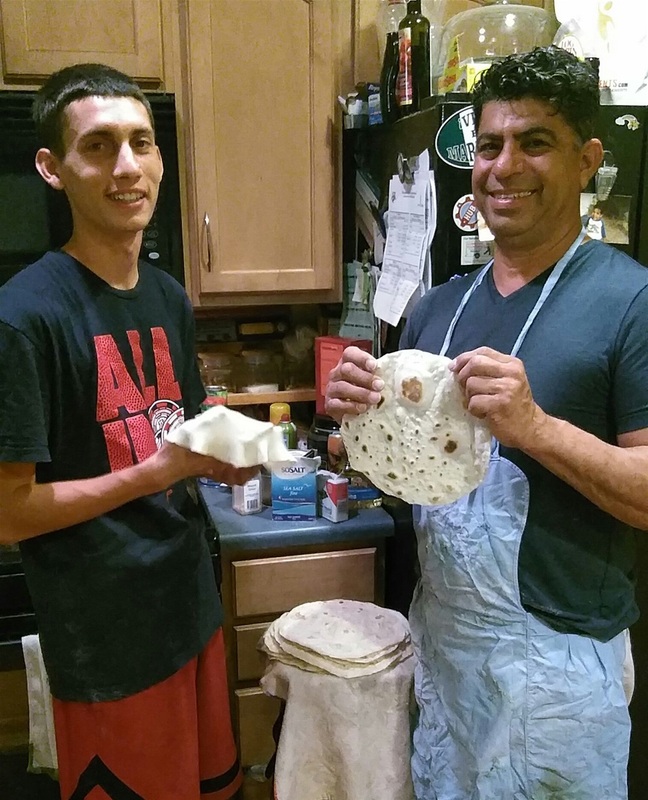 Then Johnny and I returned home and fired up the stove top to make some homeade tortillas my departed mother taught me how to make before she passed away three years ago. They don't match up to hers of course, but I'm getting closer as the time passes. We ate them with some pork carnitas and fresh beans to complete the evening, along with my sister and nephew. It was the last big meal for me since I will officially begin my diet tomorrow in an attempt to shed twenty pounds. I"ll keep you posted on that project! So friends once again I humbly thank you for checking in this week and for continuing to support my dream of ending this journey with my book. Have a great week and stay safe.